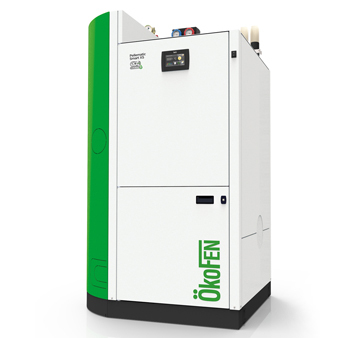 The world's most efficient condensing wood pellet boiler. 10-18kW. 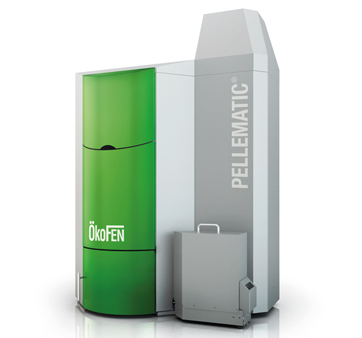 The Pellematic Condens® is the latest innovation from world-renowned experts ÖkoFEN. This unique 4in1 condesnsing boiler makes use of solar power, backed up by a highly efficient condensing pellet burner ready to step in when needed. 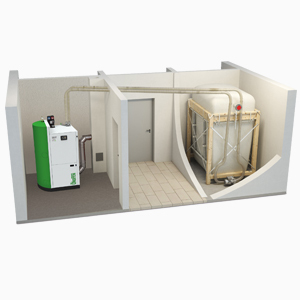 The latest generation of condensing technology extracts even more from every kilogram of wood pellets and for largescale requirements. The domestic Renewable Heat Incentive is a government incentive to promote the use of renewable heat. 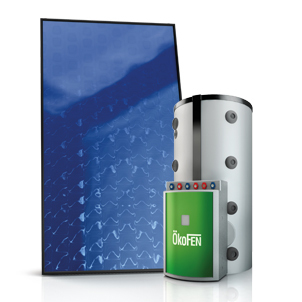 ÖkoFEN work continuously to refine their products with clever new ideas and innovations in heating technology ensuring maintenance costs are kept to a minimum and service life is maximised. 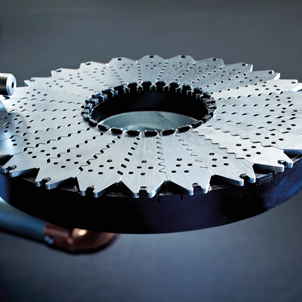 The Condensing range use many components used in the Pellematic product family and has been tested more than 70,000 times worldwide. Condensing boilers extract more energy from each kilogram of wood pellets compared to a conventional wood pellet boiler, giving up to 99.5% record efficiency. What is a condensing wood pellet boiler? A conventional boiler does not extract all the energy from the fuel it’s burning – some of that energy is wasted as heat and disappears up the chimney. 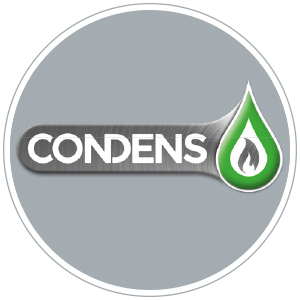 Condensing boilers recycle the waste heat and passes it through a second heat exchanger, maximising efficiency. The resulting emissions are so cool that the moisture in the fuel condenses inside the boiler, giving greater efficiency. 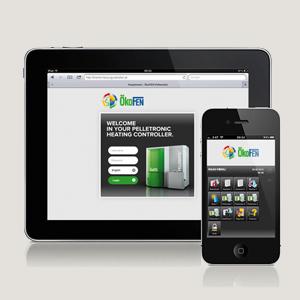 Easy to use touch controller, available with remote access via WiFi and broadband. 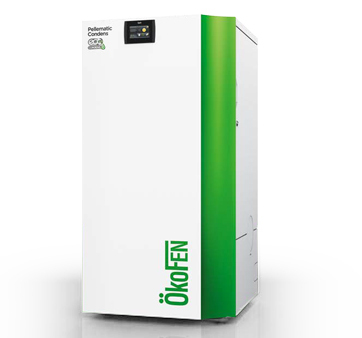 Why Organic Energy for Wood Pellet Condensing Boilers? 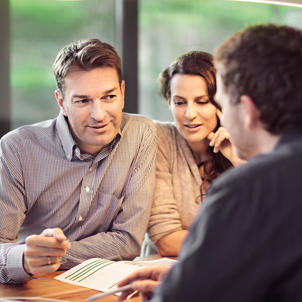 You may have some idea of what you require, so our team are on hand to offer free, expert advice on the best system configuration for your needs. As specialist renewable energy providers, we can assess your needs and recommend the most appropriate system.